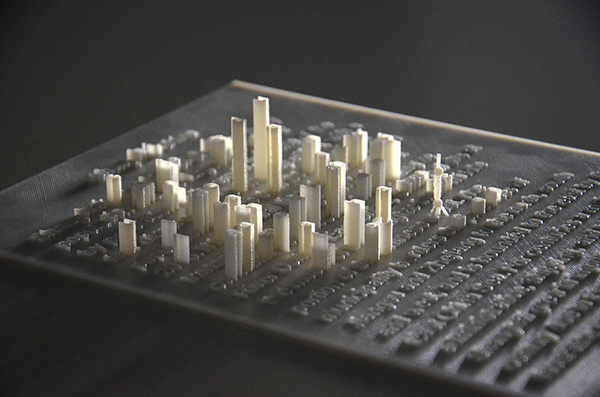 Overview: Textscapes merges font design with 3D printing to generate letter-sized 3D documents to visually (and tangibly) profile the subject matter of the texts, such as cities, landscapes or figures. These documents make the reading process an interactive, artistic experience not only for the general audience but blind individual as well. 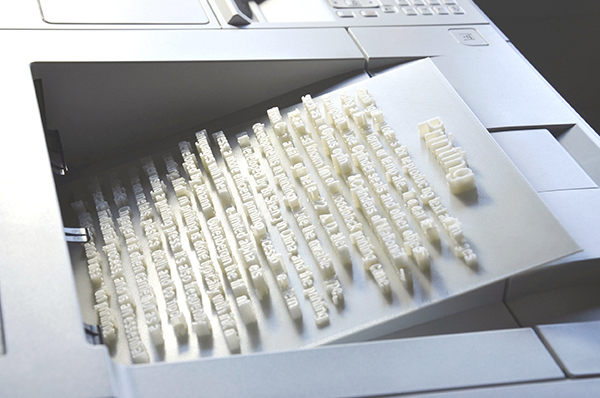 This series has variations of braille, different language characters, calligraphies, and number systems to bridge the text and is visuality in architecture, landscape, portraits and abstract matters. Check out Central Park in the text about NYC!